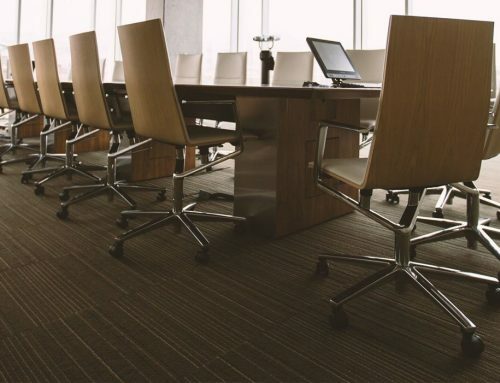 Much too often, when you hire a new cleaning company Mississauga to clean your office space, they merely focus on the most obvious things like the floor, carpets and windows, while in the process completely neglecting things like cubicle walls. If you have an office that features cubicle walls, it is just as important to have your Mississauga office cleaners scrub these as it is to clean any other part of your office. After all, your employees will be spending hours in inside these cubicle walls and the least you or they want is to have to breathe all kinds of dust, allergens or just get distracted by stains. So, here are three main reasons why you should have your office cleaners Mississauga sanitize those cubicles as well. According to the American College of Allergy, Asthma & Immunology, as many as 10 percent of Americans are allergic to dust mites. That is also one of the main precursors for allergic asthma cases. If you notice or hear any of your employees either sneezing, having a runny or stuffy nose, scratching themselves, having red and teary eyes or coughing and wheezing, then you can safely assume that they are suffering from a dust allergy. Since the fabric of the cubicle walls can be an ideal habitat for dust mites, from which they then feed off of dirt, it is imperative that the office cleaners Mississauga pay more attention to this surface rather than a cursory swipe or brush and call it a day. Of course, dust mites aren’t the only allergen triggers in town (or in your cubicle walls). Others include mold, pet hair, feathers, even cockroaches. Just like dust mites, these too can find their way into your cubicle wall fabric and from their noses and lungs of your office workers. The next thing you know, your employees’ productivity has dropped significantly. An employee accidentally spills his soda on the cubicle or touches it with greasy fingers. Not only does he leave a visible stain, but if you leave it like that, that stain will soak into the fabric. The result of this is not only an ugly spot, but also a good breeding ground for bacteria, not to mention a bad and unpleasant smell. People want their working space to be clean and devoid of bad smells, so make sure they get that by calling a Mississauga office cleaning company to clean and sanitize your cubicle walls. NEED A QUICK CLEANING QUOTE? Empire Capitol International is a full service Licensed, Insured & Bonded cleaning & janitorial facility services company serving the Greater Toronto Area. Contact us for your free no obligation cleaning quote today! Copyright © 2017 Empire Capitol International Inc. All Rights Reserved!